CasinoHeroes UK is your typical fully equipped online casino, with a few twists and extras. CasinoHeroes’ welcome offer will give you an extra £400 to play with, combined with 200 extra spins on selected games, or you can choose extra spins only and be granted 600. The bonuses are spread over the 4 first deposits, which will keep you gaming longer. On the other hand you don’t have to deposit more than £50 during the first round, to get full bonus. In addition to the regular casino CasinoHeroes has three adventure islands where you’ll have to play games and win over a number of bosses level up to the top and win, with lots of fun and excitement along the way. Your extra spins at CasinoHeroes will be handed out as a bonus on your first four deposits, with a maximum of 600 extra spins only, or 200 if you combine them with cash bonuses. Your first deposit will give you 200 extra spins with cash bonus, or 300 without, on selected CasinoHeroes games. For the second deposit you can choose between a cash bonus and 100 more spins. For the third and fourth deposits you can choose between a cash bonus and 100 extra spins each. If you opt out of cash bonuses entirely this will land you 600 extra spins at CasinoHeroes online casino. CasinoHeroes will not give you any no deposit bonus, but you do have the opportunity to earn up to £400 of deposit bonuses, with the addition of 200 extra spins on selected games, for your first four deposits. The requirements for achieving full bonus are quite low at the beginning, requiring only £50 to reach full bonus on the first deposit and rising for the subsequent ones. Looking at CasinoHeroes Slots there isn’t much else to be desired. Choose from hundreds or even thousands of slots from all the leading game developers and play for all you’re worth, if you like. You can try all the CasinoHeroes slots for free without any requirement to log in or create an account. Then if you decide to play for real the process is simple. Sign up, make your first deposit and play using your real money and extra spins as you desire. CasinoHeroes mobile casino will give you all the best things from the online casinos right in your mobile device. Almost, at least. When it comes to the mobile casino CasinoHeroes has excluded some things that require bigger screens or a reliable network connections. This means that live casino games and some table games can only be played on your computer. Don’t miss out on great CasinoHeroes deals!  Before signing up or making a deposit have a look for CasinoHeroes bonus codes and coupon codes, which could give you additional bonuses on top of what’s already offered. The available deposit and withdrawal methods may change from time to time. The most recent information will always be available on the CasinoHeroes website. There is no CasinoHeroes app for Android and iPhone. Why? You don’t need one. Just use your mobile device’s browser to access CasinoHeroes on the web and you’ll be playing in just seconds. The CasinoHeroes website works equally well on all modern Android devices as well as iPhones and other Apple products. You can play any games, except some table games or live video games that either require a bigger screen or a more reliable network connection than what mobile operators can currently offer. CasinoHeroes offer an extensive set of online and mobile casino games, with countless slots and high quality classic table games, such as roulette, baccarat, blackjack and poker. In addition CasinoHeroes online offer offers three adventure islands where you can play and level up after playing well and defeating increasingly powerful bosses. With CasinoHeroes you get an extensive welcome offer with up to £400 in cash bonus and 200 extra spins, or no cash and 600 extra spins. It is generous but requires four deposits of increasing amounts to be utilized in full. At CasinoHeroes online casino you can try out most games before registering an account which gives you a great opportunity to evaluate the casino before committing any real money.